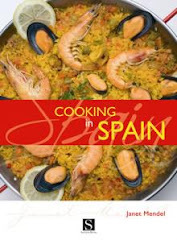 SPAIN: Food, tapas, markets, tastes, recipes. Most of my fast recipes were authentically quick to prepare; others were adapted to use prepared foods (i.e., canned beans) to replace long-cooked ones. 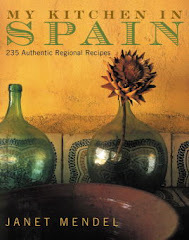 All were loaded with Spanish flavor: Chicken Breasts with Anisette, Seafood Chowder with Sherry and Serrano Ham, Bean and Chorizo Salad with Olives (the complete list and links to the recipes are below). 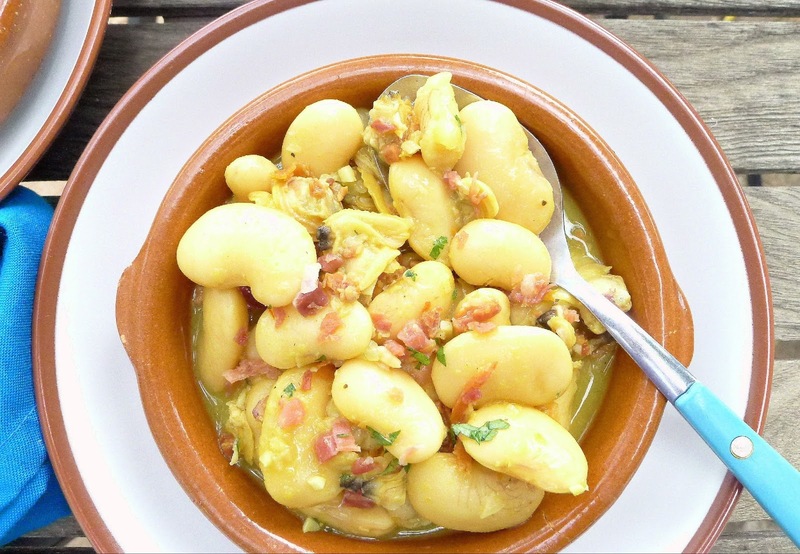 Butter beans and clams flavored with sunny saffron. One of them, Clams with Butter Beans and Saffron, is what’s for dinner today. The F&W recipe calls for shucked littleneck clams. I don’t get fresh shucked clams in my local markets in Spain, so I used fresh Manila clams (also known as Japanese littleneck clams, they are a product of aquaculture). Steaming and shelling them added to the 30 minutes of preparation time. I did that the day before cooking the dish. 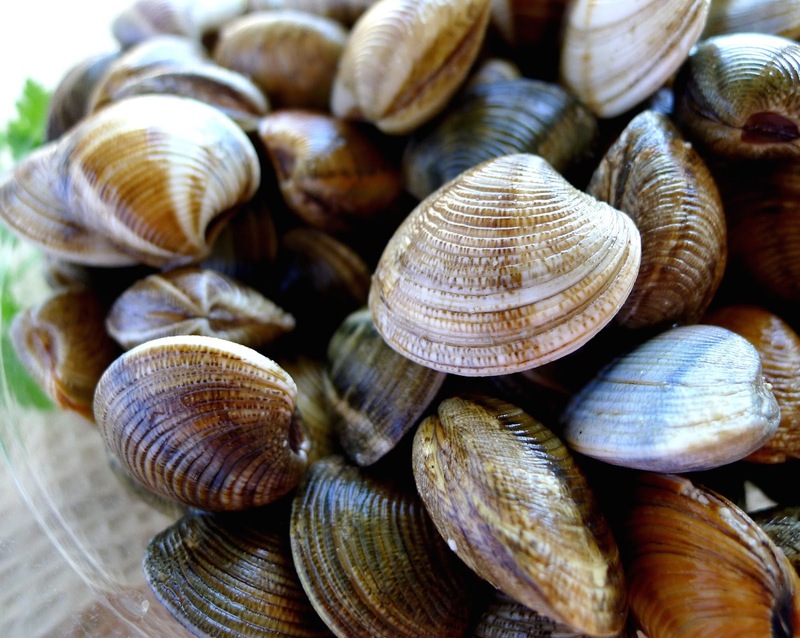 To prep the clams: Soak 3 ¼ pounds fresh Manila or littleneck clams in lightly salted cold water for 1 hour to disgorge any sand. Drain and rinse them in running water. 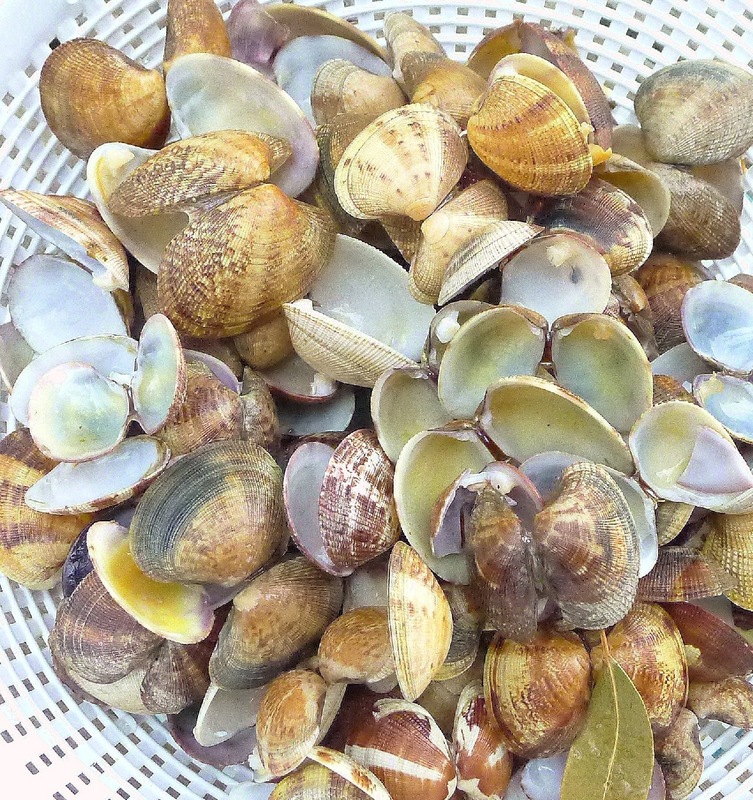 Place the clams in a deep pan and add 2 bay leaves and ½ cup water. Bring the clams to a boil, covered. Shake the pan to move the clams around, just until the shells begin to pop open. Use a skimmer to skim the clams out as they open. Strain and save 1 cup of the broth, discarding the bay leaves. When the clams are cool enough to handle, remove the meats from the shells and discard the shells. Makes approximately 1 cup of clam meats. Clams can be cooked and shelled a day before cooking the recipe. Refrigerate the clam meats and the reserved broth. 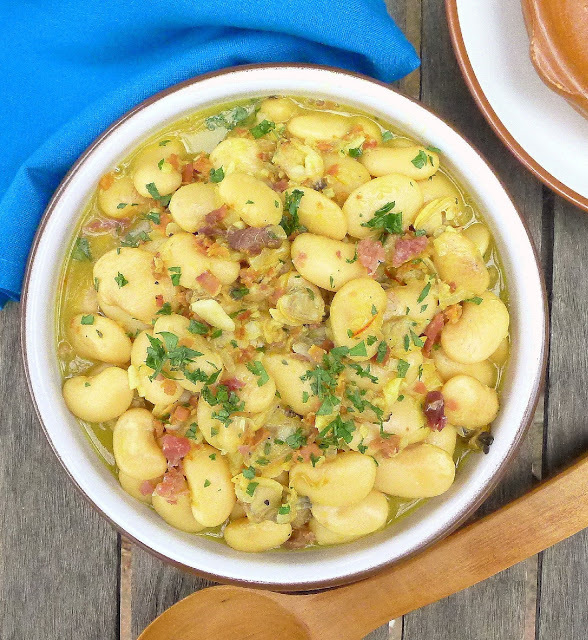 More of a stew than a soup, but light enough for summer. Clam Meats and bits of ham contribute all the salt needed to flavor the beans. Don’t add salt to the beans, as the clams and their broth are quite salty. 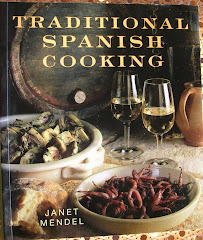 In a cazuela or deep skillet, heat the oil. Add the onion and cook over moderately high heat until softened, about 3 minutes. Add the ham and garlic and cook for 1 minute. 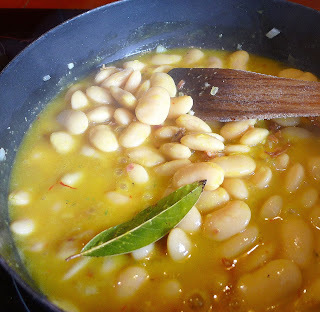 Stir in the bread crumbs, then add the beans and their liquid along with the bay leaf and thyme. Bring to a boil. A sofrito of onions, garlic and serrano ham plus saffron flavors canned butter beans. In a small bowl, crush the saffron threads into the hot water. Add to the beans and season with pepper. Simmer the beans over low heat for 15 minutes. Add the clams and the clam broth and cook on medium-high heat for 3 minutes. Sprinkle with chopped parsley to serve. 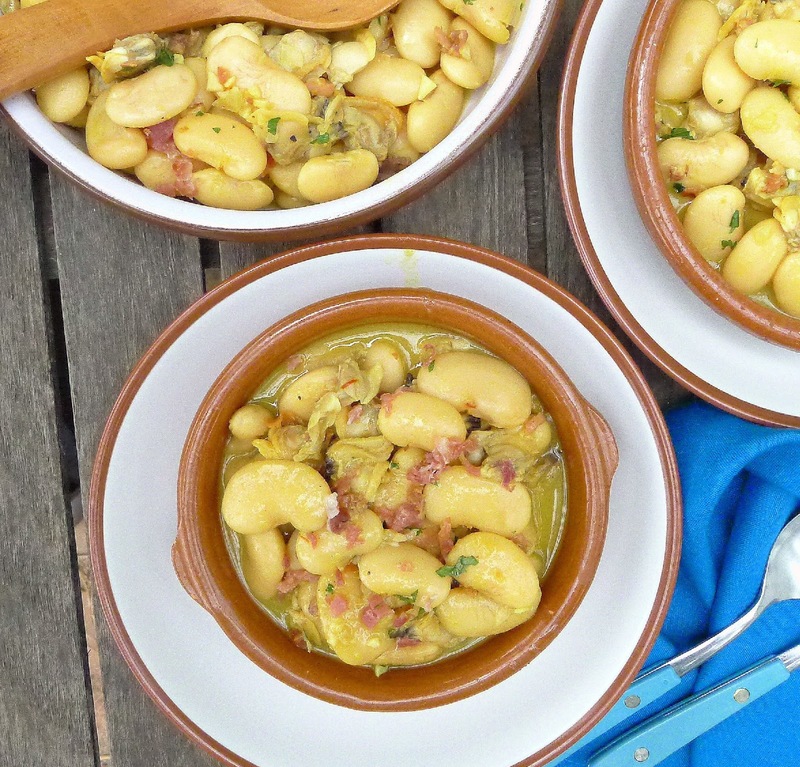 Bean and Chorizo Salad with Olives. Cod with Basque Wine Sauce. Lamb Chops Sizzled with Garlic. Spiced Chicken Breasts with Anisette. Seafood Chowder with Sherry and Serrano Ham. 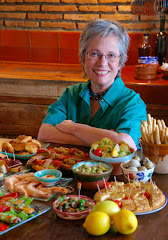 I am an American-born journalist and cookbook author who has lived in southern Spain for many years. 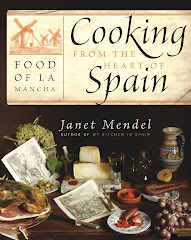 To read more about me and my kitchen in Spain, click on the photo of me, above. Text and photos copyright Janet Mendel. 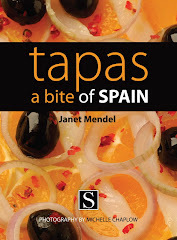 Text, recipes and photos copyright ©Janet Mendel. Simple theme. Powered by Blogger.